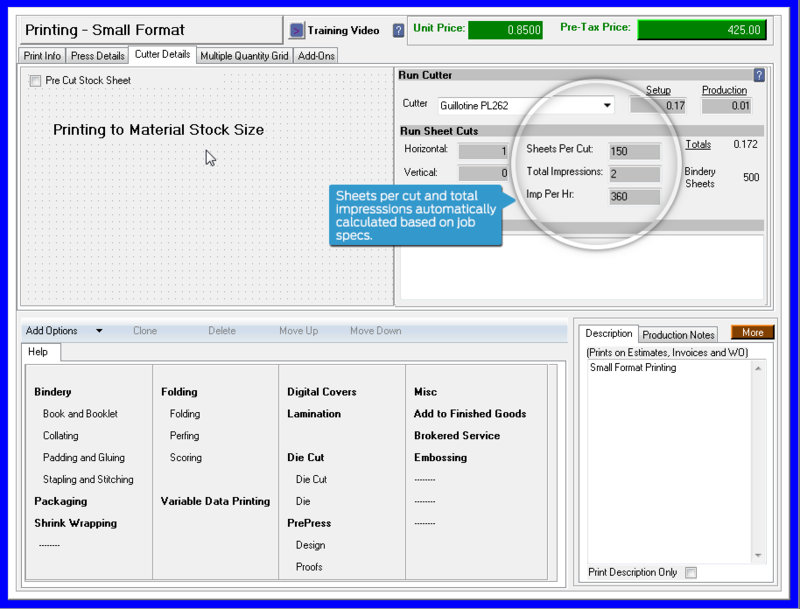 Estimating and production tools for small format jobs. Specialized pricing and production tools for Small Format jobs. Product specific screens. Take into consideration click charges, paper costs and typical equipment used. What happens when your estimator is out? Give your team the ability to give a consistent, profitable quote no matter who creates it. Duplicating the same info again and again? Control converts the estimate to a work order then invoice — no re-writing, no missing info. Missing deadlines & scrambling to order supplies? Control automatically creates a parts list and shows inventory so you can set a realistic due date. Estimate every detail of small format jobs. Select equipment, materials, finishing options and more! Capture details for multiple finishing options. 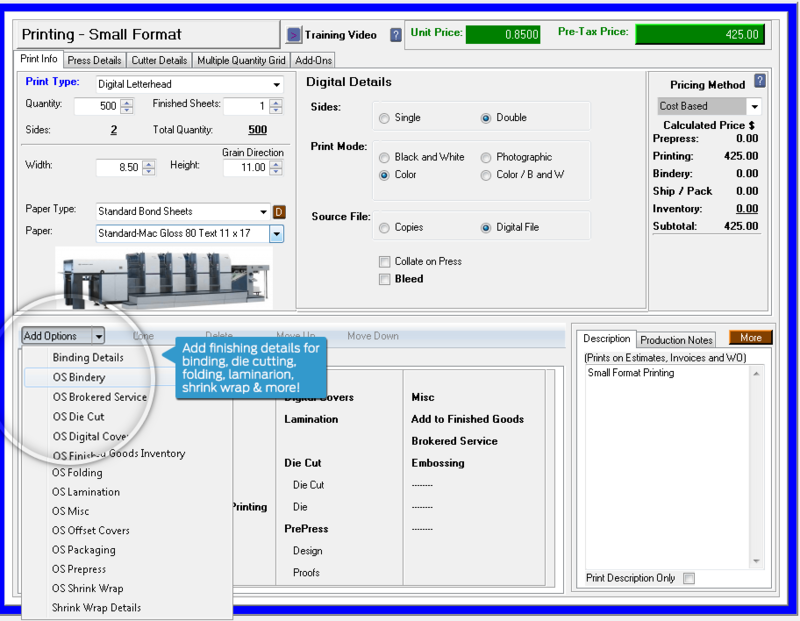 Add options for binding, die cutting, folding, lamination, shrink wrap & more! 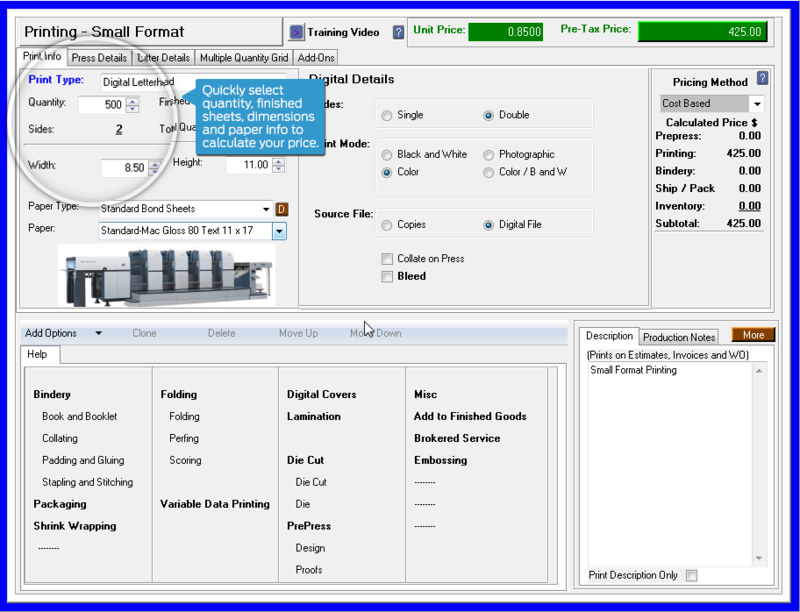 View calculations for cutter and press equipment. Sheets and total impressions automatically calculated. We did a lot of searching and we finally found everything we needed. Cyrious changed our world all the way around in: production tracking, inventory, reports and receivables, then downloading to Quickbooks – it always works. Control tracks everything.